In this study, some cutting and energy properties of canes of local grapes varieties Okuzgozu (Vitis vinifera L. cv.) were determined depend on knife type, cutting angle and cutting speed during the spring pruning in 2018. The canes of grapes were obtained from a commercial farm in the Diyarbakir province. Cutting properties were measured by a material testing machine. According to test reslts, the significant differences were found between the knives types at 1 % probability level. The best results were determined at the flat knife knife type, followed by serrated 2 and serrated 1, respectively. While the lowest cutting force and cutting strength values were obtained at flat type (knife edge flat) as 234.50 N, 8.299 MPa, 1.783 J and 0.06307 Jmm-2respectively, the highest values cutting forces, cutting strength, cutting energy and specific cutting energy were obtained at serrated type 1 (knife edge thin) knife as 303.8 N, 10.75 MPa, 2.136 J and 0.075610 J mm-2respectively. The cutting force and energy values decreased with increasing knife-cutting angle from 0°to 40°. The maximum cutting force, cutting strength, cutting energy and specific cutting energy were observed at 0°cutting angle as 319.3 N, 11.30 MPa, 2.393 N and 0.08464 Jmm-2respectively. The effect of the knife loading speed on the cutting forces, cutting strength, cutting energy and specific cutting energywere found significant statistically (p<0.01). The lowest cutting force, cutting strength, cutting energy and specific cutting energy were obtained at the 1 m s-1as 246.1 N, 8.705 MPa, 1.273 J and 0.04502 J mm-1, respectively. Alizadeh, M.R., Ajdadi, F.R., Dabbaghi, A. 2011. Cutting energy of rice stem as influenced by internode position and dimensional characteristics of different varieties. AJCS 5(6), 681-687. Allameh, A., Alizadeh, M.R. 2016. Specific cutting energy variations under differentrice stem cultivars and blade parameters. Idesia (Arica), 34(5), 11-17. Amer Eissa, A.H., Gomaa, A.H., Baiomay, M.H., Ibrahim, A.A. 2008. Physical and mechanical characteristics for some agricultural residues. In Misr J Ag Eng, 25(1), 121–146. Asabe Standarts (2008). S358.2: 1:1 Measurement Forages. 52nd edn. American Society of Agricultural Engineers, St Joseph MI. Azadbakht, M., Esmaeilzadeh, E., Esmaeili-Shayan, M. 2015. Energy consumption during impact cutting of canola stalk as a function of moisture content and cutting height. Journal of the Saudi Society of Agricultural Sciences (2015) 14, 147–152. Chandio, F.A., Changying, J., Tagar, A.A., Mari, A.I., Guangzhao, T., Cuong, D.M. 2013. Comparison of mechanical properties of wheat and rice straw influenced by loading rates African Journal of Biotechnology Vol. 12(10), 1068-1077. Chen, Y., Gratton, J.L., Liu, J. 2004. Power requirements of hemp cutting and conditioning. Biosystems Engineering, 87(4), 417–424. Dange, A.R., Thakare, S.K., Rao, I.B. 2011. Cutting energy and force as required for Pigeon pea stems. Journal of Agricultural Technology 2011 Vol. 7(6), 1485-1493. Ekinci, K., Yilmaz, D., Ertekin, C. 2010. Effects of moisture content and compression positions on mechanical properties of carob pod (Ceratonia siliqua L.). African Journal of Agricultural Research, 5(10), 1015–1021. Esgici, R., Ozdemir, G., Pekitkan, F.G., Elicin, A.K., Ozturk, F. and Sessiz, A. 2017. Some enginnering properties of the Sire grape (Vitis Vinifera L.). Scientific Papers-Series B-Horticulture, vol. 61, 195–203. Gan, H., Mathanker, S, Momin, M.A., Kuhns, B., Stoffel, N., Hansen, A., Grift, T. 2018. Effects of three cutting blade designs on energy consumption during mowing-conditioning of Miscanthus Giganteus. Biomass and Bioenergy, ISSN: 0961-9534, Vol: 109, Page: 166-171. Georget, D.M.R., Smith, A.C., Waldron, K.W. 2001. Effect of ripening on the mechanical properties of Portuguese and Spanish varieties of olive (Olea europaea L), Journal of the Science of Food and Agriculture J. Sci. Food. Agric. 81, 448-454. Ghahraei, O., Ahmad, D., Khalina, A., Suryanto, H., Othman, J. 2011. Cutting tests of kenaf stems. Transactions of the ASABE, 54(1), 51-56. Heidari, A., Chegini, G.R. 2011. Determining the shear strength and picking force of rose flower. Agricultural Engineering. Ejpau 14(2), 13. Igathinathane, C., Womac, A.R., Sokhansanj, S. 2010. Corn stalk orientation effect on mechanical cutting. Systems engineering 107, 97-106. Jasim, A.A., Abbood, M.R., Abbood, S.M. 2017. Effect of knives type on some operational characteristics for a locally assembly motorized vibration cutter used for Date Palm fronds pruning. International Journal of Environment, Agriculture and Biotechnology (IJEAB) Vol.2(4), 1597-1600. Khazaei, J., Rabani, H., Ebadi, A., Golbabaei, F. 2002. Determining the shear strength and picking force of pyrethrum flower. AIC Paper No. 02-221. Khodaei, J., Akhijahani, H.S. 2012. Some physical properties of Rasa grape (Vitis vinifera L.). World Applied Sciences Journal 18(6), 818-825. Kocabiyik, H., Kayisoglu, B. 2004. Determination of shearing features of sunflower stalk. In J Agric Sci, vol. 10, 2004, no. 3, 263–267. Kronbergs, A., Širaks, E., Kronbergs, A.E. 2011. Mechanical properties of hemp (cannabis sativa) biomass. Environment. Technology. Resources. 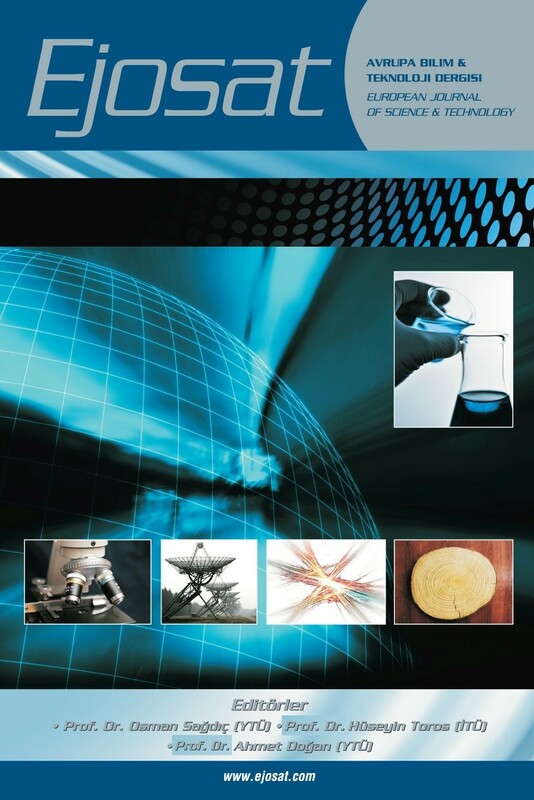 Proceedings of the 8th International Scientific and Practical Conference. 1, 184-190. Mathanker, S.K., Grift, T.E., Hansen, A.C. 2015. Effect of blade oblique angle and cutting speed on cutting energy for energycane stems. Biosystems Engineering, Vol.133, 64-70. Mohsenin, N.N. 1986. Physical properties of plant and animals materials. 2nd edition. New York, NY: Gordon and Breach Science Publishers. Morris, J.R. 2000. Past, present, and future of vineyard mechanization. Proceeding ASEV 50 the Anniv. Ann. Mtg. Seatle, WA, 51, 155-164. Nandede, B.M., Raul, A.K., Singh, D., Jadhav, M.L., Solanke, K.R. 2017. Effect of blade type, diameter and moisture content of Sorghum stalk and earhead on cutting energy. Multilogic in Science, Vol.7(24), 38-40. Nowakowski, T. 2016. Empirical model of unit energy requirements for cutting giant miscanthus stalks depending on grinding process parameters. Annals of Warsaw University of Life Sciences – SGGW, Agriculture (Agricultural and Forest Engineering) 67, 63–70. Ozdemir, G., Sessiz, A., Esgici, R., Elicin, A.K. 2015. Cutting properties of wine grape cultivars. Scientific Papers. Series B, Horticulture. Vol. LIX, 151-158. Ozdemir, G., Sessiz, A., Pekitkan., F.G. 2017a. Precision viticulture tools to production of high quality grapes. Scientific Papers. Series B, Horticulture. Vol. LXI, 2017, June 8-10, Bucharest, Romania. Ozdemir, G., Sessiz, A., Esgici, R. 2017b. Some maturity properties of Okuzgozu (Vitis Vinifera L. CV.) grape berries. Fresenius Environmental Bulletin. Volume 28, No:10, 6261-6265. Pekitkan, F.G., Esgici, R., Elicin, A.K., Sessiz, A. 2018. The change of shear force and energy of cotton stalk depend on knife type and shear angle. Scientific Papers. Series A. Agronomy, Vol. LXI, No. 1, 360-366. Persson, S. 1987). Mechanics of cutting plant material. ASAE Publications, St Joseph, MI, USA. Prasad, J., Gupta, C.B. 1975. Mechanical properties of maize stalks as related to harvesting. J Agric Eng Res, vol. 20, 1975, no. 1, 79–87. Romano, E., Bonsignore, R., Camillieri, D., Caruso, L., Conti, A., Schillaci, G. 2010. Evaluation of hand forces during manual vine branches cutting. International Conference Ragusa SHWA, September 16-18, 2010 Ragusa Ibla Campus- Italy. Work Safety and Risk Prevention in Agro-Food and Forest Systems. Sessiz, A., Elicin, A.K., Esgici, R., Ozdemir, G., Nozdrovický, L. 2013. Cutting properties of olive sucker. Acta Technologica Agriculturae. The Scientific Journal for Agricultural Engineering, The Journal of Slovak University of Agriculture in Nitra. 16(3), 80–84. Sessiz, A., Esgici, R., Ozdemir, G., Elicin, A.K., Pekitkan, F.G. 2015. Cutting properties of different grape varieties. Agriculture & Forestry, 6(1), 211-216. Singh, V., Das, M., Das, S.K. 2016a. Effect of varying knife speed and contact area on peak cutting force during slicing of peeled potato (Solanum tuberosum). International Food Research Journal 23(6), 2513-2518. Singh, V., Das, M., Das, S.K. 2016b. Effects of knife edge angle and speed on peak force and specific energy when cutting vegetables of diverse texture. International Journal of Food Studies IJFS, Vol.5, 22-38. Sushilendra, Veerangouda, M., Anantachar, M., Prakash, K.V., Desai, B.K., Vasudevan, S.N. 2016. Effect of blade yype, cutting velocity and stalk cross sectional area of chickpea stalks on cutting energy, cutting force and specific energy. International Journal of Agriculture Sciences, Vol.8(53), 2658-2662. Taghijarah, T., Ahmadi, H., Ghahderijani, M., Tavakoli, M. 2011. Shearing characteristics of sugar cane (Saccharum officinarum L.) stalks as a function of the rate of the applied force. AJCS 5(6), 630-634. Voicu, G., Moiceanu, E., Sandu, M., Poenaru, I.C., Voicu, P. 2011. Experiments regarding mechanical behaviour of energetic plant Miscanthus to crushing and shear stress. In Engineering for Rural Development Jelgava, 26. Yiljep, Y., Mohammed, U. 2005. Effect of knife velocity on cutting energy and efficiency during impact cutting of Sorghum stalk. Agricultural Engineering International: The CIGR EJournal. Manuscript PM 05 004. Vol. VII. December, 2005. Yore, M.W., Jenkins, B.M., Summers, M.D. 2002. Cutting properties of rice straw. Paper Number: 026154.ASAE Annual International Meeting / CIGR XVth World Congress. Zareiforoush, H., Mohtasebi, S.S., Tavakoli, H., Alizadeh, M.R. 2010. Effect of loading rate on mechanical properties of rice (Oryza sativa L.) straw. Australian Journal of Crop Science, 4(3), 190–195.